Unlike sheep and goats wool, alpaca fibre does not contain lanolin meaning that Plum of London’s knitwear range is especially good for babies, children and those with sensitive skin. Royal alpaca (which is used in our knitted clothing range) is the world’s finest alpaca yarn and boasts a micron count of less than 17. This results in alpaca knitwear that handles just as softly as cashmere but possesses so many more benefits. Thanks to there being no lanolin present in alpaca fibre, pure alpaca clothing and garments repel dust mites and other organic matter which might trigger allergies. This risk is eradicated in our collection because we use only Royal alpaca in our knitted range. It has been said that those who can’t wear cashmere can wear alpaca. Properties which protect and insulate the alpaca at heights of up to 5500m and in temperatures varying from -28c to +27C mean that pure alpaca clothing keeps the wearer cool in hot temperatures and warm in cool conditions. When required, alpaca fleece is 3 times warmer than merino and better insulating even than goose down. Some fabric experts suggest alpaca has a lower tendency to shrink than both cashmere and wool, Due to alpaca being free of lanolin, Plum of London’s knitted garments don’t require regular cleaning but when required, are easy to clean and more importantly, machine washable! Alpaca fibre is almost indestructible: woven alpaca clothing has recently been found in almost perfect condition in Incan ruins dating back over 2,000 years. Alpaca is stronger than mohair and second in strength only to silk. Therefore improving the comfort of anyone wearing alpaca clothing and ensuring that the wearer maintains a constant body temperature. Alpaca fibre is impermeable to oils meaning spills are easy to clean up before water saturates the fibre which would otherwise allow stains to develop supporting the claim that there is no better yarn in which to clothe babies and children. Thanks to its antibacterial and water resistant qualities, alpaca fibre successfully resists odours much more effectively than other similar fibres. Tests have shown that alpaca is virtually water repellent, allowing alpaca clothing to maintain its thermal qualities even when wet. All animal fibres contain ‘scales’ which are visible on each individual strand but the scales that are found on alpaca fibre are much shorter consequently improving the wearability and lifespan of alpaca clothing and products as they are less likely to create ‘pilling’ and ‘balling’. Thanks to the ‘hollow’ qualities of alpaca fibre, Plum of London’s garments remain remarkably light when compared to other similar animal fibre (including merino, wool and cashmere) as well as synthetic clothing. Consequently, this helps alpaca garments to hold their shape and look new after even years of wear. Whilst it can catch alight, alpaca will not support a flame and so will not melt or stick to the skin unlike synthetic fibres. 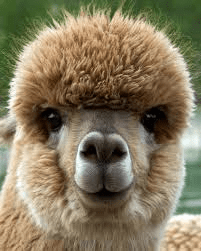 Alpaca does has been found to be even more flame retardant than merino wool. Which will protect your baby’s, children’s or indeed even your own skin from harmful UV rays by providing the wearer with a natural sun block. This entry was posted in Latest news and tagged Alpaca Clothing, Alpaca Jumpers, Alpaca Knitwear, Alpaca Yarn, British Knitwear, Cashmere, Luxury Alpaca, Merino, Royal Alpaca, Wool on 23/10/2016 by Hugo Douglass.